The adventure video games by American developer Telltale Games have been some of the most fun and engaging of the last couple of years, in particular season one of their episodic adventure The Walking Dead, which some even considered the top video game of 2012. Apart from making games based on smash hit TV series like The Walking Dead and Game of Thrones, Telltale has also based their video games on some of the most popular movie franchises like Jurassic Park and Back to the Future in 2010. So it was only a matter of time before Telltale got to make a game set in the Batman universe, given how successful the Caped Crusader has been both in the silver screen and earlier video games like Batman Arkham Knight by Rocksteady Studios. Of course, those who enjoyed earlier Telltale adventures like The Walking Dead and fans of the Batman universe too will likely be looking forward to picking up this latest Telltale adventure, which will be released online in early August. There will also be a physical retail release in September according to Polygon, although strangely enough the disc will only contain the first episode, requiring players to download the remaining episodes as they become available… But still, Telltale’s new game is certainly one to look forward to (and likely to be a treat for all those who ever dreamed of being the Batman…), hopefully living up to their earlier adventure games when it releases next month. 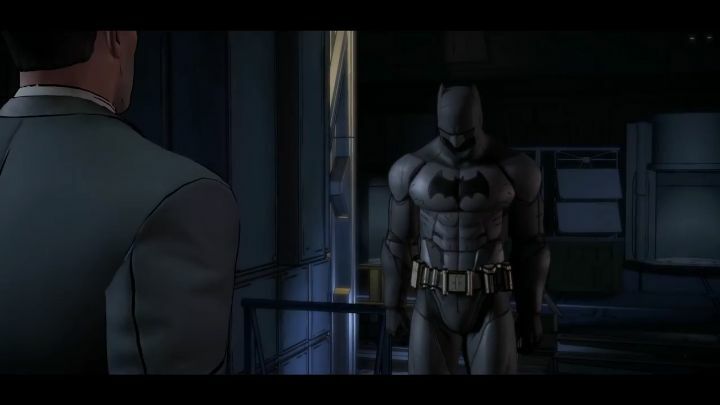 Note: Batman: The Telltale Series will be released on August 2, 2016. Available on PS4, Xbox One, PC, Xbox 360, PS3, Android and iOS.